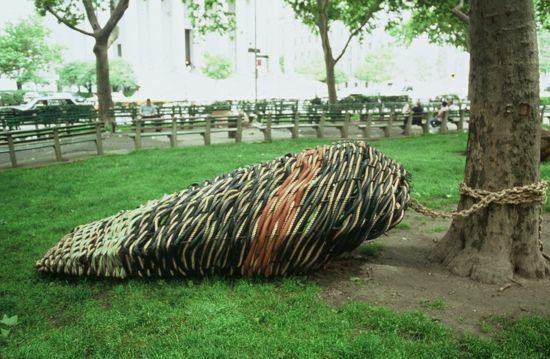 Installed in Thomas Paine Park in lower Manhattan from June-November 1992, now in the collection of the Hillwood Art Museum, on the grounds of C.W. Post College, Long Island, NY. 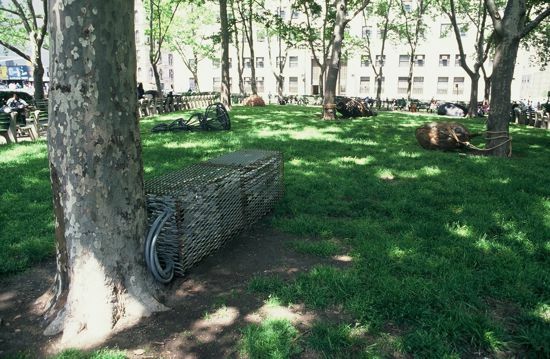 Nancy Cohen has managed with this installation to breathe new life into a small and forlorn park, which has lately tended to serve as a haven for cardboard homeless shelters. 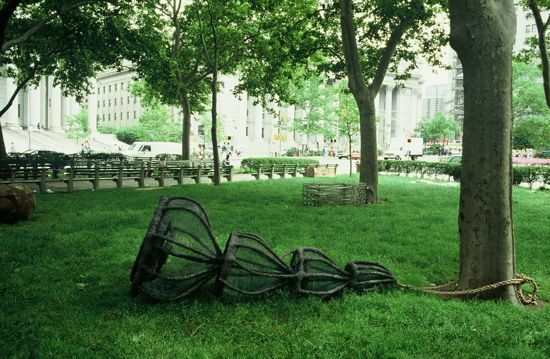 On the park's modest tree-shaded lawn, she has arranged several sculptures in shapes that resemble shells, pods, cocoons and other natural forms of shelter that sympathetically and obliquely refer to the homeless and their ingenuity in creating makeshift places to sleep. There is also one rectangular sculpture that explicitly evokes their cardboard shelters. 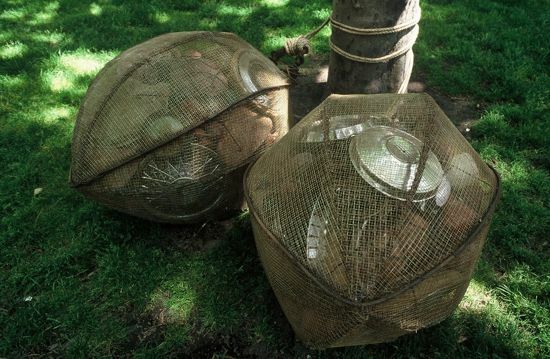 Each of the "shelters" involves a steel armature, and some of them also use red clay, rope or rubber tubing. 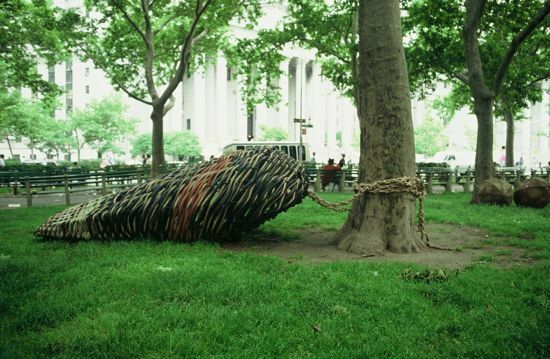 The works are tied to the trees, which become like their protectors or guardians. 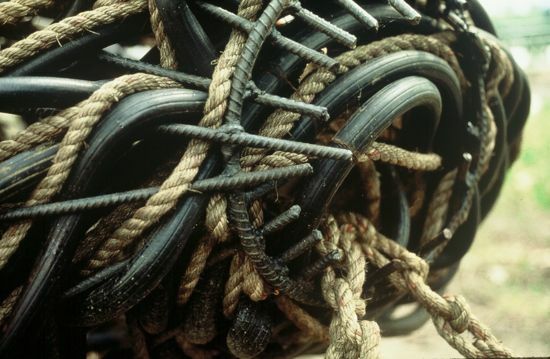 Ms. Cohen's evocative shapes are varied in texture and character, and can bring to mind the abstractions of Martin Puryear or Richard Deacon. 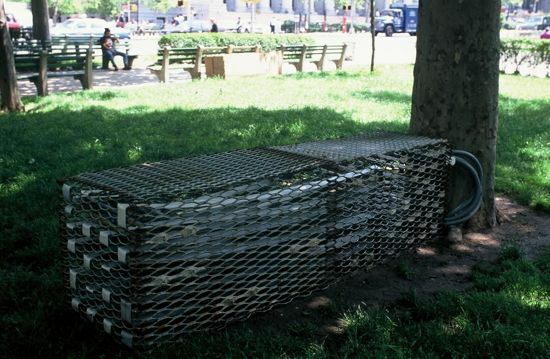 They underscore in their materials and shapes the fact that the park is both a natural and an urban place. 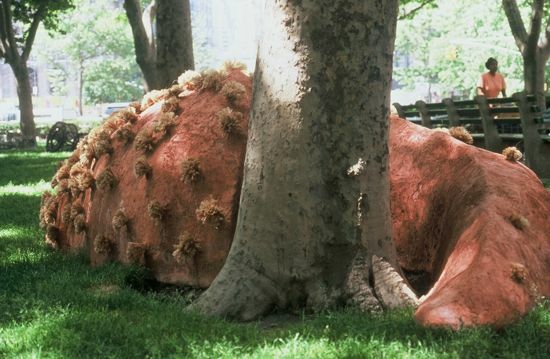 Most important, her installation turns the park into something passers-by are now drawn to.